Classic Analog LPs - items 125 to 150 Shop MyMusicFix!! 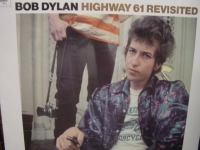 "Bob Dylan, Highway 61 Revisited - Mono"
BOB DYLAN - Highway 61 Revisited - LP is Heavy Virgin Vinyl Limited Edition heavy vinyl pressing from the Original Monophonic Master that has been in its can for thirty-five years. This Album by Bob Dylan ranked 22nd Best Album of All-Time according to VH-1 poll of musicians, executives and journalists and also ranked by NME's List of Greatest Albums of All-Time as 14th. Accompanying Dylan on this recording is Mike Bloomfield - guitar (of Electric Flag, Paul Butterfield Blues Band), Al Kooper - piano/organ (Blues Project and Blood, Sweat & Tears), Harvey Goldstein - bass, and Bobby Gregg - drums. Dylan's first fully-fledged electric album engendered considerable controversy. Folk purists had already waved good-bye to him but rock had become the meter through which the singer could now best express his vision. Session Organist, Al Kooper, and Blues Guitarist, Mike Bloomfield, those providing free-spirited accompaniment through a collection of songs that re-defined pop music. Wrapped in a raw, hard-driving sound, Dylan's poems//part beat, part symbolic, part concrete, ensure that contemporaries could no longer rely on traditional forms, and influence immediately apparent on recordings by The Beatles and The Rolling Stones. There are lyrics of a generation still to be found on this album. Classic Analog LP Pressing. Featuring a sterling line-up of Dylan on both acoustic and electric guitars, organ and piano, Dave Bromberg on guitar and dobro, Charlie Daniels on bass and Al Kooper on organ and organ. 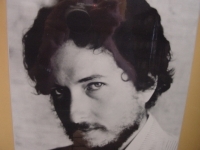 "New Morning" continued Bob Dylan's unbelievable chart run into the 1970's. 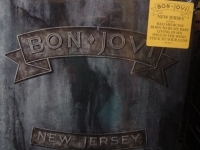 Tracks include "If Not For You" (as covered by Olivia Newton-John , "Time Passes Slowly", "If Dogs Run Free", "New Morning" "Sign On The Window", "Three Angels" and "Father Of Night" among many others. 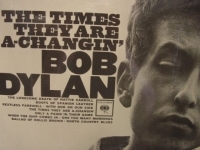 "Bob Dylan, The Times They Are A Changin' "
Classic Analog LP Pressing. One of the darkest of Dylan abums, it is an all-acoustic folk protest album that has gone down in history. It is the work of a 22 year old in 1964 who sounds no less sick of it all than the ailing 55 year old who made "Time Out Of Mind." Tracks Include: "When The Ship Comes In" "Only A Pawn In Their Game" is one of Dylan's best songs ever "The Lonesome Death Of Hattie Caroll", "The Ballad Of Hollis Brown" two love songs to break the mood, "Boots Of Spanish Leather" "One Too Many Mornings" and "The Times They Are A-Changin' "
"Bob Marley & The Wailers, The Birth Of A Legend - Double LP"
BOB MARLEY AND THE WAILERS - BIRTH OF A LEGEND - RARE DOUBLE 2 LP SET Made in England - high-definition Virgin Vinyl pressing for superior fidelity. ALL TRACKS ARE ORIGINAL MONO TRACKS EXCEPT WHERE NOTED.MASTERED DIRECT FROM ORIGINAL TWO TRACK TAPES. 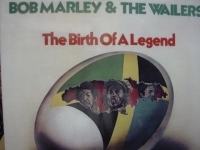 Marley's own dreadlocks were still just growing in then, but this is nonetheless fully matured, riveting reggae at its most focused, righteous, and rhythmically irresistible. TRACKS ARE: SIDE ONE - I MADE A MISTAKE - ONE LOVE - LET HIM IN - LOVE & AFFECTION - SIMMER DOWN - SIDE TWO - MAGA DOG - I AM GOING HOME - DONNA - NOBODY KNOWS - LONESOME FELLING - SIDE THREE - WINGS OF A DOVE - IT HURTS TO BE ALONE - I'M STILL WAITING - WHO FEELS IT - DO YOU REMEMBER - SIDE FOUR - DANCING SHOES - I DON'T NEED YOUR LOVE - LONESOME TRACK - DO YOU FEEL THE SAME WAY - THE TEN COMMANDMENTS OF LOVE 180 Gram Limited Edition Analog Virgin Vinyl. 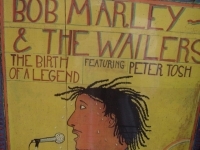 Tracks Include: "I Made A Mistake" "One Love" "Let Him Go" "Love and Affection" "Simmer Down" "Maga Dog" "I Am Going Home" "Donna" "Nobody Knows" "Lonesome Feeling"
"Bob Marley & The Wailers, The Birth Of A Legend"
Classic Analog LP Pressing. 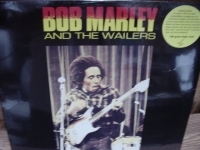 Tracks include: "I Made A Mistake" "One Love" "Let Him Go" "Love and Affection" "Simmer Down" "Maga Dog" "I Am Going Home" "Donna" "Nobody Knows" "Lonesome Feeling"
"Bob Marley & The Wailers, Trench Town Rock (3 LP Box Set)"
Classic Analog LP Pressing. 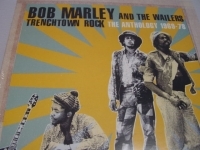 The Anthology 1969-78. Tracks Include: "Adam and Eve" "Wisdom" "Cheer Up" "Try Me" "Run For Cover" "Reaction" "Dreamland" "Stand Alone" "Keep On Moving" "Redder Than Red" "Turn Me Loose" "I Know A Place" And MORE!!! 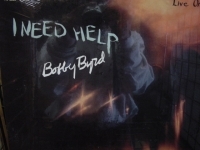 "Bob Marley And The Wailers, Survival"
"Bobbi Humphrey, Blacks & Blues"
"Bobby Byrd, I Need Help (featuring James Brown)"
Classic Analog LP Pressing. 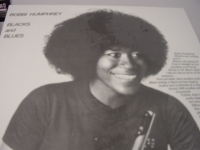 Tracks Include: "I Need Help (I Can't Do It Alone) Part 1 And Part 2" "It's I Who Love You (Not Him Anymore)" "Funky Soul Part 1" "I Found Out" "You've Got To Change Your Mind" "You Got To Have A Job (If You Don't Work You Can't Eat)" "I'm Not To Blame" "I'll Lose My Mind" "My Concerto" "Hang Ups We Don't Need (The Hungry We Got To Feed)" "You Gave My Heart A Song To Sing"
"Bobby Vinton, Greatest Hits 0 Out of Print - Last Copy"
In 1964 the Beatles started a remarkable run at the top of the Billboard pop charts. On February 1, 1964 "I Want to Hold Your Hand" became the #1 song in the U.S. and stayed there for seven weeks, at which point it was replaced by "She Loves You" for two weeks, and then "Can't Buy Me Love" for five weeks. 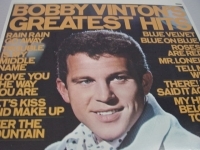 I bring this all up because before that epic 14 week run, the artist who had been at the top of the charts for the entire month of January 1964 was Bobby Vinton, with his third #1 hit, "There! I've Send It Again!" The previous year Vinton had spent four weeks on top with "Roses Are Red (My Love" and another three with "Blue Velvet." Vinton had his last #1 near the end of 1963 with "Mr. Lonely," but by then the face of popular music had changed. Going into 1963 Vinton was well on his way to being the crooner for the Sixties, but then came the Beatles and the British Invasion. Despite suddenly being out of vogue, Vinton had a pretty good career throughout the decade. You might be surprised to find out that in the first decade of his career Vinton had 28 songs make it to the Billboard Top 40. Tracks Include: "Blue Velvet" "Roses Are Red" "Blue On Blue" "Mr. Lonely" "Let's Kiss And Make Up" "My Heart Belongs To You" "There! 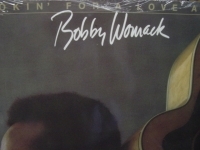 I've Said It Again" "Rain Rain Go Away" "I Love You The Way You Are" "Over The Mountain" "Trouble Is My Middle Name" "Tell Me Why"
"Bobby Womack, Lookin' For A Love Again"
Classic Analog LP Pressing. Tracks Include: "Lookin' For Love" "I Don't Wanna Be Hurt By Ya Love Again" "Doing It My Way" "Let It Hang Out" "Point Of No Return" "You're Welcome, Stop On By" "You're Messing Up A Good Thing" "Don't Let Me Down" "Copper Kettle" "There's One Thing That Beats Failing"
Classic Analog LP Pressing w/ small cut out in cover. Tracks Include: "Lay Your Hands On Me" "Bad Medicine" "Born To Be My Baby" "Living In Sin" "Blood On Blood" " Homebound Train" "Wild Is The Wind" "Ride Cowboy Ride" "Stick To Your Guns" "I'll Be There For You" "99 In The Shade" "Love For Sale"
"Booker T & The MG's, Greatest Hits"
"Booker T & The MGs, The Booker T Set"
BOOKER T & THE MG'S - THE BOOKER T SET Track Listings 1. Horse 2. Love Child 3. Sing a Simple 4. Lady Madonna 5. Mrs. Robinson 6. This Guy's in Love With You 7. Light My Fire 8. Michelle 9. You're All I Need to Get By 10. I've Never Found a Girl (To Love Me Like You Do) 11. 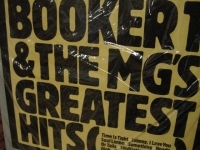 It's Your Thing As usual, another wonderful set from Booker T. & the MG's. 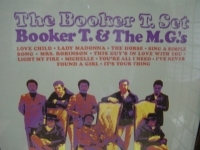 CAPTURE THE SOUL BAND OF STAX RECORDS. Entirely beautiful soul music from beginning to end, with lots of nice touches from everyone in the band.....as usual! Listen and Believe. FAVE TRACKS: Sing A Simple Song, It's Your Thing.....ahhhh, what am I saying- THEY'RE ALL FAVE TRACKS! Cheers Mssrs Jones, Cropper, Dunn, and the late, great Al Jackson, Jr. Buy it! 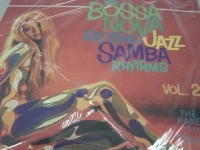 "Bossa Nova Exciting Jazz, Antonio Carlos Jobim/Joao Donato & more (Vol. 4)"
Classic Analog LP Pressing "Out of Print". Tracks Include: "Walter Wanderley" "Cannonball Adderley & The Bossa Rio Sextet" "OS 6 Em Ponteo" "Oscar Peterson 'Mas Que Nada'" "Coleman Hawkins 'Samba De Uma Nota So'(One Note Samba)" And Many More! 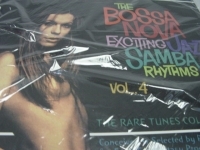 "Bossa Nova Exciting Jazz, The Rare Tunes Collection (Vol. 1)"
Classic Analog LP Pressing "Out of Print". Tracks Include: "Os Cinco-Pados" "Jongo Trio" "Quarteto Em Cy Com Tamba Trio" "Pedrinho Mattar Trio" "Charlie Byrd & Woody Herman 'Bamba Samba(Bossa Nova)'" "Zimbo Trio" "The Continentals" And Many More! 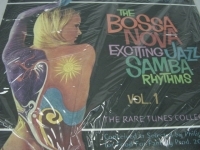 "Bossa Nova Exciting Jazz, The Rare Tunes Collection (Vol. 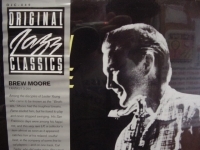 2)"
Classic Analog LP Pressing "Out of Print". Tracks Include: "Tamba Trio" "Edu Lobo" "Pery Ribeiro" "Marcos Valle" "Sambalanco Trio" "Edison Machado" "Paul Winter feat. Luiz Bonfa, Roberto Menescal & Luiz Eca 'Reza'(E. Lobo/R. Guerra)" And Many More! Classic Analog LP Pressing w/ small cut out in cover. Tracks Include: "Amanda" "We're Ready" "The Launch (a:C ountdown, b:Ignition c:Thirth Stage Separation)" "Cool Engines" "My Destination" "A New World" "To Be A Man" "I Think I Like It" "Can'tcha Say (You Believe In Me)" "Still In Love" "Hollyann". 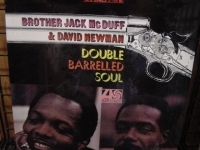 "Brian Wilson, Gettin In Over My Head"
"Brother Jack McDuff & David Newman, Double Barrelled Soul"
Classic Analog LP Pressing. 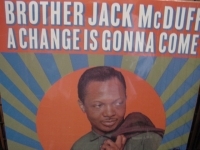 Tracks Include: "But It's Alright" "Sunny" "Esperanto" "Duffin' 'Round" "More Head" "Untitled Blues"
"Brother Jack McDuff, A Change Is Gonna Come"
Classic Analog LP Pressing. Tracks Include: "Down In The Valley" " A Change Is Gonna Come" "Hotcha" "What'd I Say" "No Tears" "Gonna Hang Me Up A Sign" "Minha Saudade" "Same Old,Same Old" "Can't Find The Keyhole Blues"